It doesn’t seem to be all that long since USB 3.1 was making waves in the market as the new best thing but USB- C has made end users forget all about this predecessor in a dramatically short time. Although the USB- C often seems to be the new Apple MacBook’s conjoined twin, it is, fortunately, not an Apple standard product. In fact, there are quite a few signs that the USB – C is here for the long haul and that it will slowly but surely replace its less efficient older USB cousins. As Jeff Ravencraft (Chairman USB IF) puts it, the USB Type C plug is a ‘big step forward’ that could ‘greatly simplify things’. Talk about USB connectors and there is an actual need to give a very precise description of the shape and size you are referring to simply because there are quite so many of them in use. The most familiar and most commonly used one is the USB Type A connector which is rather bulky and it has the additional headache of supporting only one specific orientation for the USB plug. Whether you use a USB 1, 2 or 3 device the massive size of the connector remains the same and so does the need to ‘try’ it out multiple times to get the orientation right. This is not just a hassle filled experience for users; it simply doesn’t work for smaller devices like mobiles that simply do not have the real estate to support a massive port space. This gave rise to the micro and mini connectors, adding to the total number of USB connectors that are in the market. Putting an end to all this confusion is the USB- C type connector that will soon replace all of these previous versions across devices. In effect, what this will mean is that with a single cable that has USB- C type connectors at both ends, you will soon be able to connect all your devices to each other. As thinner devices become the norm, the need to have tiny USB ports and universally compatible connectors is clearly emerging and USB- C addresses this need perfectly. Plus, the USB- C is vertically symmetrical and it has contacts on either side which means that it works perfectly no matter which way it is plugged in. The audible click that indicates that it is locked in place is an added bonus for users who typically spend several frustrating minutes trying to get the USB connector in place every time they need to plug something into this port. Two of the most appealing aspects about the USB- C type are its charging up capabilities and impressive data transfer speeds. The USB Power Delivery specification notches up the charging to 100 watts and the charging is bi- directional too which means that the device can either get charged up or do the charging up. The type C USB brings this super fast charging capability with it and can deliver up to 100 watts of power at 20 volts. This not only means faster power ups but also lets users get rid of their clunky AC power adaptors. Now, with the USB- C, you can simply charge your mobile, laptop or tablet easily, quickly and with one single USB cable. And you can do it while you are transferring data. That brings us to the second most liked feature of the USB- C type connector- its speedy data transfer capabilities. Boasting 10Gbps data transfer rates, this new USB version is definitely a winner when you compare it with the older, clunkier versions. Although USB 3.1 does offer speedy data transfers, the USB C type raises the bar higher. 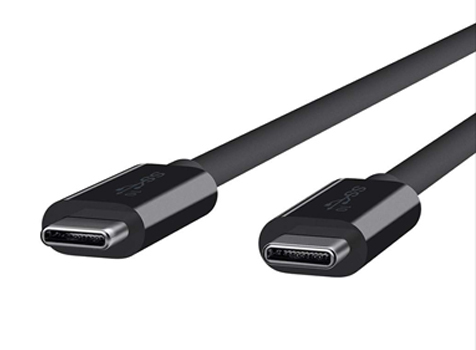 One of the significant changes that USB C’s data transfer capabilities may spark off is a reversal to cable connections when high speed data transfer is the need of the hour, for example with gamers using tablets connected to their TV screens. The USB C type has already debuted in the marketplace in the new 12 inch MacBook as well as the Chromebook Pixel although not many other devices have been launched with it. There are adapters to help those who do not have these devices transition to USB Type C more easily but the many appealing features of this USB version indicate that the market may be happy to switch loyalties quickly.